Implementation of on-the-job trainings in Gyomai Kner Nyomda Zrt. Home/Blog/Implementation of on-the-job trainings in Gyomai Kner Nyomda Zrt. On 14th December 2018, the Gyomai Kner Nyomda Zrt. through its grant proposal ’Implementation of on-the-job trainings in Gyomai Kner Nyomda Zrt.’ won a grant of HUF 55 216 850 given by the Economic Development Programs Managing Authority; it shall be used by the company within two years for the trainings and to compensate wage costs of the working time spent on the trainings. This application was submitted to the Economic Development and Innovation Program’s call for proposals ‘Funding for on-the-job trainings for employees of large enterprises’ which aims to enhance the employee competencies of the adults and to improve their adaptability to social and economic changes as well as to increase the value and competitiveness of manpower, emphasizing the principals of lifelong learning. With regard to the above, the training program focuses on two main areas: on a more widespread use of toolbar of the information technology and on developing a process-oriented approach. Starting from different skill levels, Excel trainings will be implemented, and during this two-year period three training courses will cover the development of a process-oriented approach. Since more than a hundred of our colleagues in Gyoma will attend these courses, everyone can have a clear picture of the work and management methods that can ensure the future efficient and marketable operation of Gyomai Kner Nyomda Zrt. In order to improve and operate the planning and control technique, further trainings will be provided to those employees who deal with it. These trainings will be implemented in nearly 11 000 hours, and 70% of them will take place during 2019. 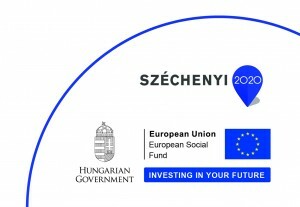 The project manager is Dr. Erzsébet Novotny. The Gyoma team hereby would like to thank for the assistance of all colleagues working both in Budapest and in Gyomaendrőd, who contributed to this successful application with their work.